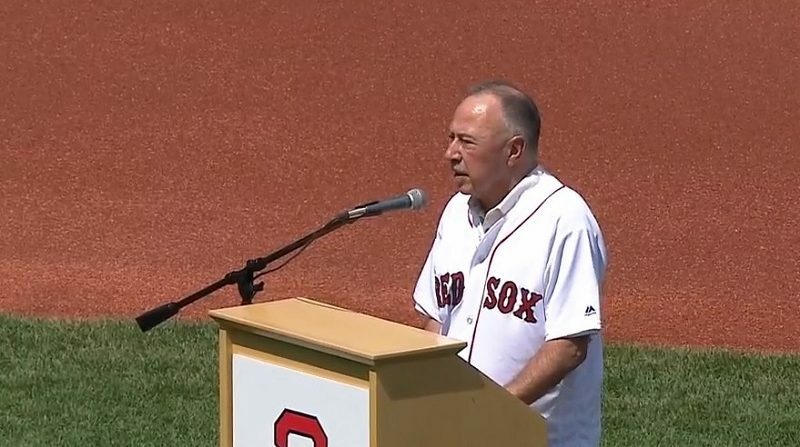 Jerry Remy, a Major League Baseball broadcaster for the Boston Red Sox, has once again been diagnosed with cancer, according to the Boston Herald's Jason Mastrodonato. Jerry Remy's cancer has returned. "At this time, Jerry's focus is on his medical treatment", NESN said. NESN announced Tuesday that Remy, who has been a television color analyst with the company since 1988, would be stepping away from his duties while he undergoes treatment. He finished treatment earlier this year in January. The Red Sox official account tweeted, "Our thoughts and prayers are with Jerry". This is Remy's 31st season in the Red Sox broadcast booth. Born in Fall River, growing up in Somerset, and now residing in Weston, Remy was voted Massachusetts' Favorite TV announcer by Sports Illustrated in 2004. He grew up in MA and played second base for the Red Sox from 1978-84. He was named the Massachusetts Sportscaster of the Year by the National Sportscasters and Sportswriters Association in 2004. Before transitioning to broadcasting with NESN, Remy was best known as the Red Sox second baseman from 1978-85.